The balloon trips are certainly not for anyone who is a late riser. It is an early start to be at the takeoff field in time for sunrise. After a short in-flight briefing, it is time to get in the basket and take off for a once in a lifetime experience. Be sure to have the camera or video recorder ready. 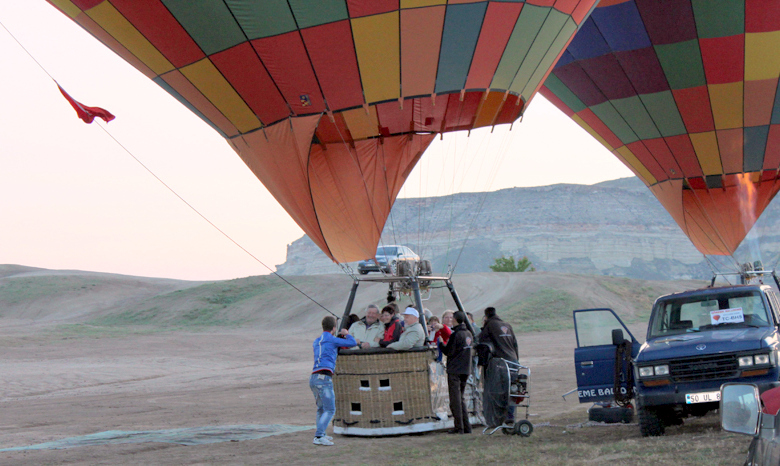 A hot air balloon is a great platform for viewing the volcanic formations off the landscape. The balloon travels in existing air streams so there is no motion and at times, it is possible to forget that your feet are firmly off the ground. 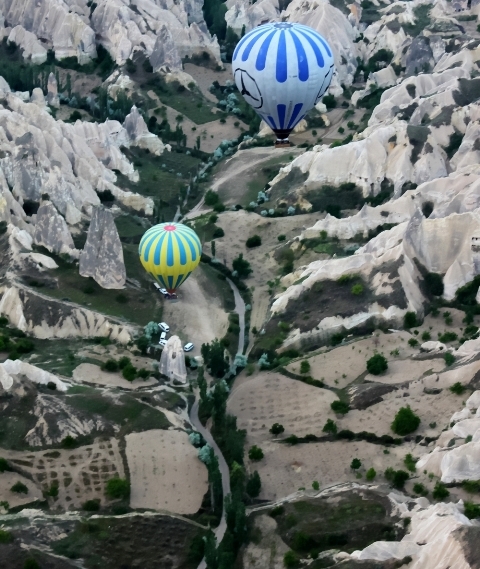 This method of travel was invented in 1776 and the hot air balloons found a home in Cappadocia because the wind streams flowing through the valley are the perfect conditions in which to fly. Rising to around 1000 feet, the pilots will often descend and rise back up again giving the perfect panoramic view of the region. 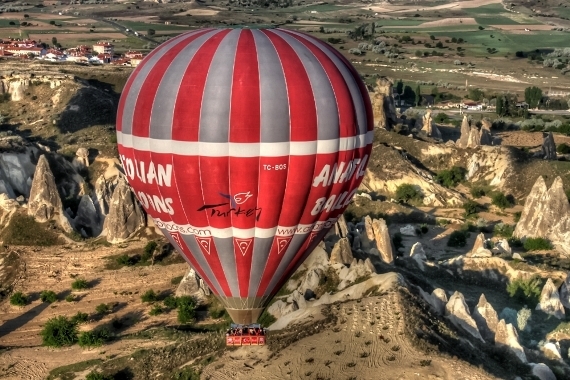 Float over pigeon valley and the Goreme open-air museum, head to see the castle of Uchisar from the sky and finish by floating over the cave hotels of Goreme. Finally, there is no better way to celebrate your first hot air balloon trip, than by indulging in a champagne toast upon landing. 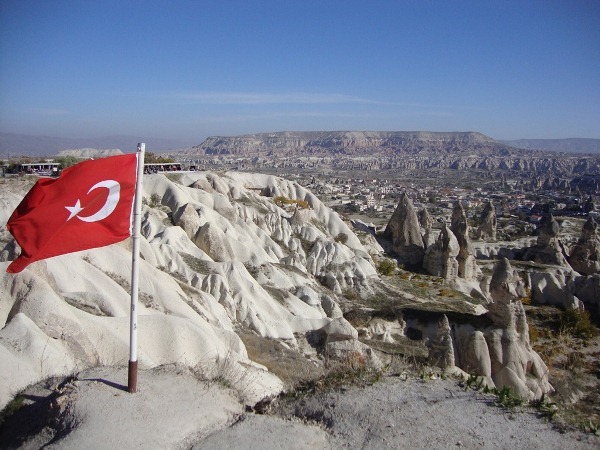 Going to Cappadocia and not doing a hot air balloon trip is like going to Paris and by passing the Eiffel tower. 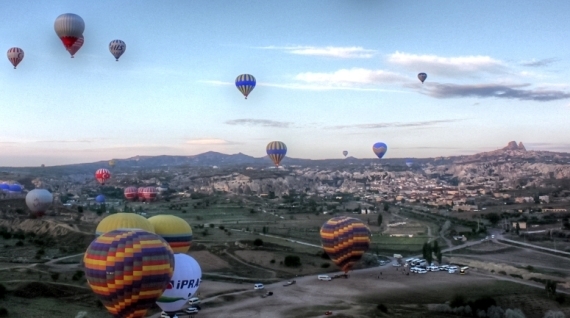 Cappadocia is all about hot air balloons and the experience will certainly give you memories for a lifetime. 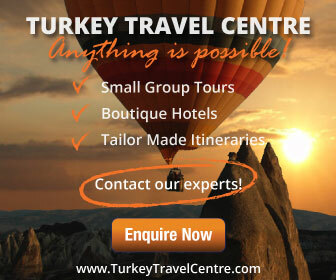 Contact us with your details and pre-book your hot air balloon trip in Cappadocia. 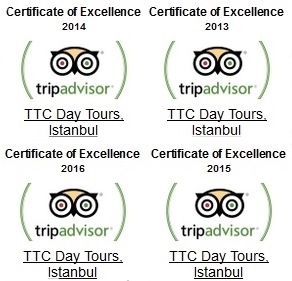 This unique experience will take you over the amazing landscape of the region. Find out more..